“Breaking Bad” was good. Did it live up to all the hype? The “best TV ever” as some proclaimed? Addicting as blue meth? Don’t get me wrong. I think what Vince Gilligan did aesthetically with the show — especially his use of light, his play with shadows and with the off-kilter, strange point-of-view camera angles — was just inspired. And I also liked what he did with the musical soundtracks woven through different episodes. I enjoyed some of the interplay between Jesse and Walt, some of the harrowing situations they got into and, of course, the comic relief of Saul Goodman. But I just could not get knocked off my feet like a meth head taking another hit on a pipe. Sure, I get it: Walt White is transformed from a meek, but brilliant and undervalued high school chemistry teacher into a thug drug kingpin who in the end is portrayed as trying to redeem himself from his wicked ways. I thought the first season was the best of the bunch. But for the life of me, I cannot see how viewers could binge watch on these episodes. Dark, exploitative and at times weirdly uncomfortable to watch — like watching your friend’s parents argue in front of you, the shows were sometimes stultifying. I mean, I watched some and then just wanted to run away from the TV set, never mind watch another episode right away. To Gilligan’s credit, no detail was too small to observe and weave into the plot or episode. And I do admire the titles he gave to the shows. 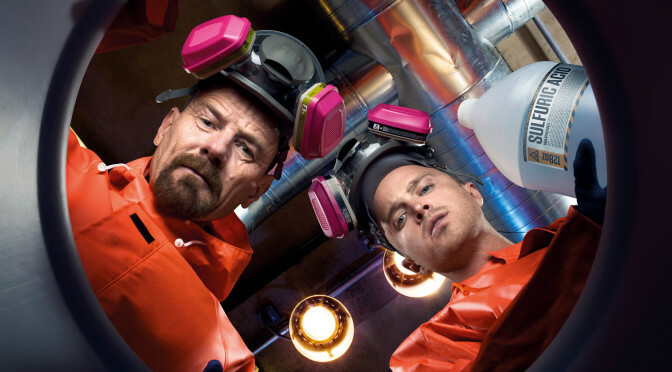 I found Aaron Paul’s performance as Jesse to be outstanding and convincing; Bryan Cranston’s as WW, well, here’s where the show kind of left the rails for me. After you’re about halfway into the series, it’s clear that Walt has crossed a line from which there is no turning back, yet the show’s writers still tease the viewers into believing that somehow Walt’s intentions are not so bad: He cares about his family. He cares about Jesse. He really wants to take out the “bad guys” and somehow do right by others. I’ve seen what kind of damage meth can really do to people. It ain’t pretty or trivial. Walt starts out almost as a sympathetic Willie Loman-like character who you practically can root for. But well into Season 3, Walter was clearly the anti-hero, if not the anti-Christ. Why should I as a viewer be invested in him? I couldn’t ID with his distorted values as a dad, bread winner or husband. The guy was a stone-cold killer who engendered no sympathy from me. He became an ordinary criminal who just happened to have a genius for science and chemistry. I felt a greater emotional connection with Tony Soprano, even after he whacked his cousin, than I did for Walter. The wrap-up of “Breaking Bad” left me with an impression that the writers wanted us to feel that Walter had redeemed himself by making amends and seeking out what we were supposed to believe was much-deserved revenge. Even the closing scene had Walter splayed out, almost Christ-like. No, in the end, unlike his myriad hungry customers both in North America and overseas, I wasn’t buying what Walter White was selling. In the end, Walter White left me feeling pretty gray.